During the 11th academic council meeting of MCU on 14 December 2550/ 2007 at meeting room 205 mahachulalongkornrajavidyalaya building. 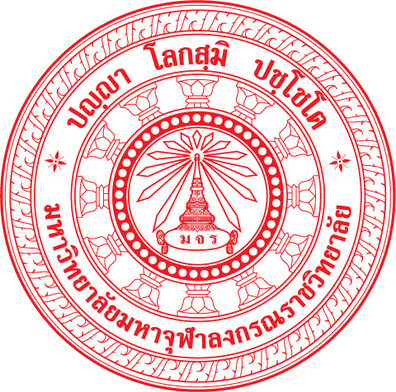 Phra mahaSomchinSammapanyo (nowadays in the position of clerical title of Phra Sigambhirayan) committee and secretary of academic council proposed that the academic division of rectors office had requested for the approval to establish the Mahachulalongkornrajavidyalaya language center or MCU-LC which was proposed to academic council for the consideration and was resolved to be postponed. Later on at the 2nd academic council meeting on Thursday, 19 March 2552 at conference room 401 rectors office MCU Wangnoi, Ayutthaya, Asst. Prof. Dr.PhraSigambhirayan the committee and secretary of academic council proposed that the academic division has the letter assigned on 13 march 2552 for the approval to establish the MCU language center, which was proposed for the consideration at the meeting. So, the meetings resolved to consider the projectto have compact and organized even more. At the 4th Academic Council meeting on Thursday, 21 May 2552 at conference room 401 rectors office MCU. 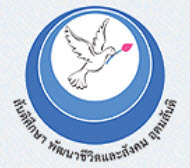 Asst, Prof. Dr, Phra Sigambhirayan, committee and secretary of the academic council proposed that the academic division has the letter assigned on 19 May 2552 to propose language teaching project (MCU-LI). Whereas, the meeting considered and resolved to propose at the academic council once again. Nevertheless, the academic council observed that the working team has proceeded correspondingly according to the policy of university but should improve the instruction curriculum effectively and propose to academic council more clearly. At the 5th Academic Council meeting on Thursday, 16 July 2552 in conference 401 at rectors building MCU. Asst. Prof. Dr. Phra Sigambhirayan, committee and secretary proposed that according to university’s policy to teach language studies to enhance the knowledge in foreign language to personnel, students and general people. In other words, to prepare personnel; executives, teachers, staffs, and studentsto have ability and be ready to performtheir duties according to mission of university, as well as, to prepare organization to bethe Buddhist education center both nationally and internationally. Therefore, it was seen appropriate to establish the language institute of MCU (LIMCU) by the consideration of the academic council after the proposal by the secretary. MCU by the virtue under section 27 (1) according to the act of Mahchulalongkornrajavidyalaya university 2554 had order at No.167/2554 on 28 March 2554, toappoint language institute’s administration committee of MCU having Assoc. Prof. Dr. Phra Sigambhirayan as the chief executiveand Asst. Prof. Dr. Phramaha HansaDhammahaso as the committee and secretary. MCU by the virtue under section 27 (1) according to the act of MCU 2540 had ordered at No. 167/ 2554 on28 March 2554, to appoint Committee for language institute’s fund and to manage it smoothly, efficientlyand to achieve according to the regulation of MCUhaving the most Ven. Prof. Dr. Phra Dhammakosajarn, chairman of board and Asst. Prof. Dr. Phra mahaHansaDhammahaso, Committee and secretary. Sunday 24 January 2553 the Most Ven. Prof. Dr, Phra Dhammakosajarn, rector of MCU was the president in opening ceremony of language institute officially, including committees from International Council day of Vesak (ICDV) and International Association of Buddhist Universities (IABU), around 43 people from 30 nations, along with executives, teachers, staffs, students and general people altogether 500 people gathered to participate the ceremony and also Dr. Rasmi and Khun ying Sompong Wannisorn as the president from the lay side. However, in this ceremony Language Institute provided scholarship for executives, teachers, staffs and along with students from the Wangnoi district around 30 people. MCU by the virtue under section 27 (1) and (2) by the act of MCU 2540 had order at No. 072/ 2554 on 4 February 2554 was appointed Phramaha Hansa Dhammahaso (Nithiboonyakorn), academic standing Nak tham ek, Pali grade 6, B.A (Philosophy), M.A (Buddhist Studies) and PhD (Buddhist Studies), position Assistant to rector of academic affairs as the director of Language Institute of MCU to administrate the language institute project efficiently and achieve according to the policy of university. During 1st Academic council meeting on 14 January 2553 issued the regulation on the criteria of completing Bachelors degree with necessary of language qualification according to rules of university. In this situation, academic council issued the criteria for English language tests for foreign students in undergraduate level. Whereas, the regulations and criteria mentioned were comprehensive both in central and regional. After that, language institute started teaching and servicing for qualification tests to foreign students. The 2nd Academic Council meeting on Wednesday 23 March 2554 issued the regulations for the English proficiency tests which caused PhD students willing to complete their doctorate degree must qualify the English proficiency test from language institute or other institutes according to the graduate school’s criteria and language institute opened the teaching program to PhD students since 24 June 2554.